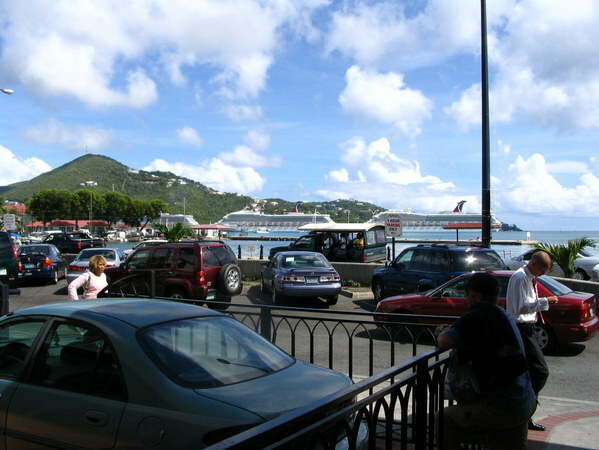 Saint Thomas, along with the islands of Saint John, Saint Croix, and Water Island constitute the district of the United States Virgin Islands (USVI) and there is inter-island ferry service. 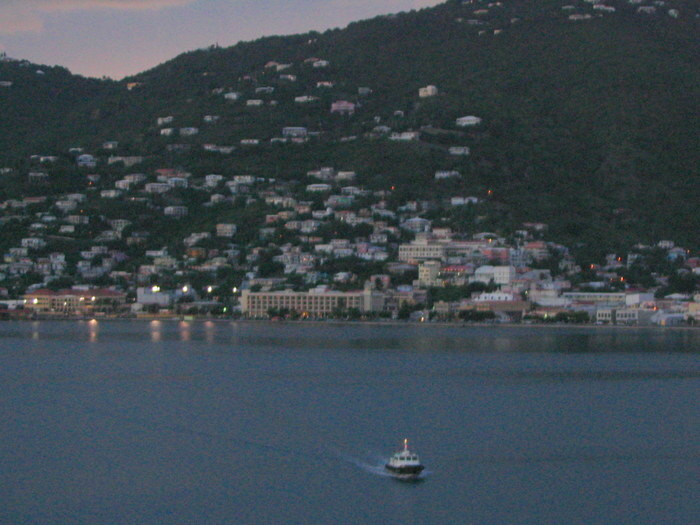 On the island is the capital and port of Charlotte Amalie. Tourism definitely runs the economy and cruise ships in the harbor attract a bustling collection of souvenir vendors. 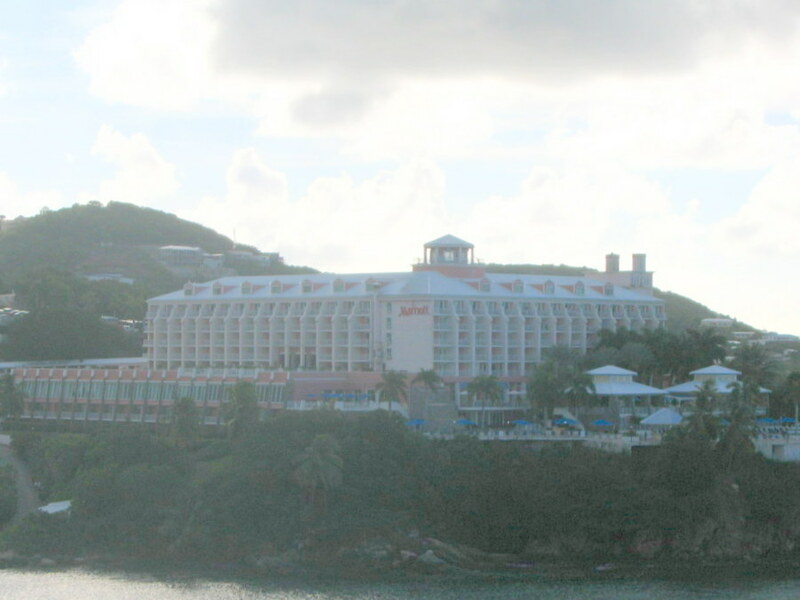 As we neared the harbor, we saw Frenchman's Reef Marriott overlooking the sea. Unfortunately, the photo looks misty and I don't recall any fog so the humidity may have been a contributor and affecting the clarity of the lens because it was the first photo of the morning. 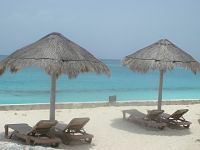 Experience the Ultimate St. Thomas for Less Package! St. Thomas is the most cosmopolitan island of the U.S. Virgin Islands and its capital, Charlotte Amalie, has a vibrant history. 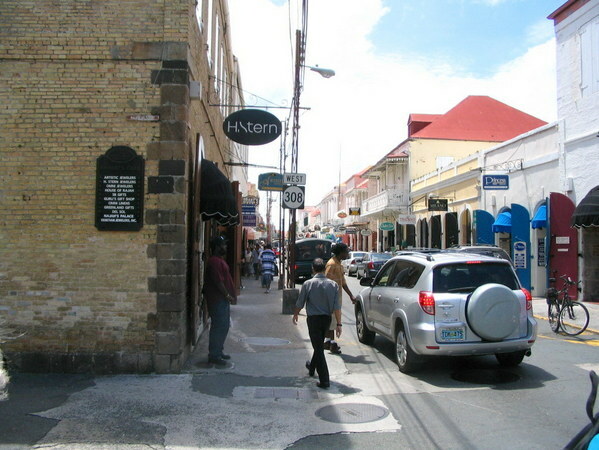 It was the former capital of the Danish West Indies and legends of pirates permeate the fabric of that history. The U.S. bought the Danish portion in 1917 (the other half is still British). To put it into location perspective, it is around 1100 miles southeast of Miami. Its size is only 32 square miles and they’ve packed a lot of optional activities and tours into that space. 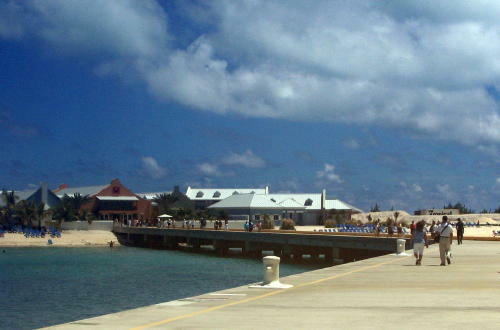 Tourism accounts for 80% of the economic activity. 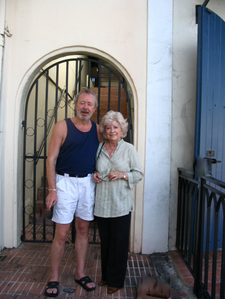 They typically host around 2 million visitors annually and many arrive on cruise ships…as we were doing. There are open-air cabs with canopies known as "safaris" ( seen in the photo above) which are inexpensive and follow set routes. There are also regular taxis and open air covered trucks called "safari cabs" with bench seats that operate only in the high-traffic areas. These popular safaris cabs are also available for island tours and they come in several sizes. 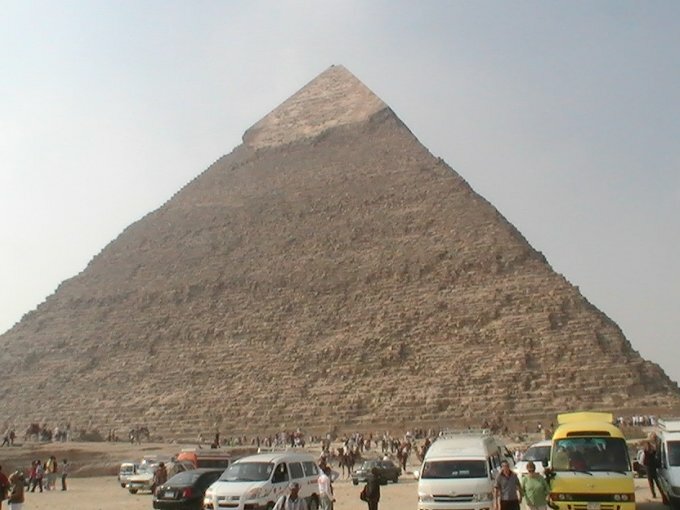 Some can hold up to 26 passengers so typically they are used for group tours. Private tours can be arranged and there are smaller vans, SUV’S and cars that serve as taxis as well. VI Taxicab Association sets the taxi rates, including taxi tours. 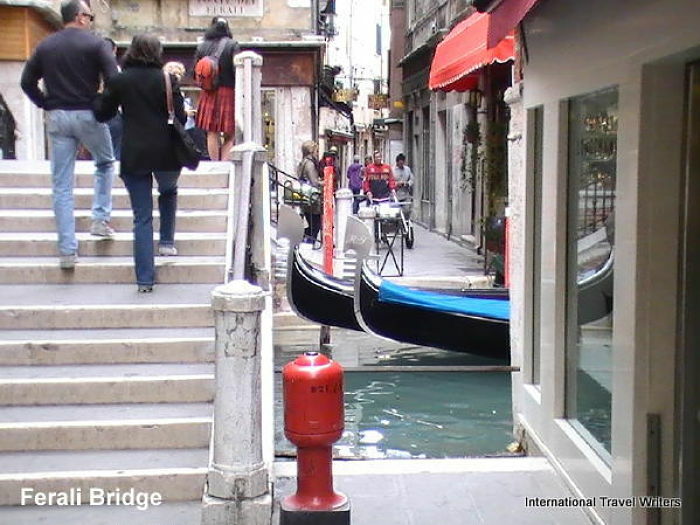 A two hour sightseeing tour for one passenger would run around $50 while two or more passengers its $25 each. A three hour tour would be one passenger $60 with two or more passengers paying $30 a person. However, if you opt for an exclusive, customized tour it will be more. This was our only trip on Carnival but at a drawing for a 5 carat midnight sapphire...I had won. We looked for a jewelry store that might have a setting to make it a necklace...the streets had jewelry shops all over. However, I opted to wait until we returned home so I could take it to a local jeweler after seeing the prices to get anything custom done in Saint Thomas. We had breakfast on the ship but after hours of walking and seeing the sights we ate lunch in a quaint little restaurant...and then continued exploring Saint Thomas. Clear Discoveries Night kayaking…a sunset paddle out to “Pirate’s Point” in state of the art clear, see-through kayaks. They are made out the same material as fighter jet canopies so they are 100% transparent. As the sun sets, you turn on your bright lights and see what lies below. Guides share local pirate folklore and history as well as point out a variety of interesting items; sting rays, turtles, historic cannons and anchors from the 1800’s, etc. Lifejackets are included. Helmet Dive…this is a form of super snorkeling and involves divers wearing a helmet connected to the surface by an air hose. Divers climb down a ladder into the water and are then fitted with the helmet. A marine expert guides 8 people at a time around coral beds swarming with marine life. It is available at Coral World where it is called Sea Trek. Aerial Tours…are available on St. Thomas by helicopter and on Cessna aircrafts. 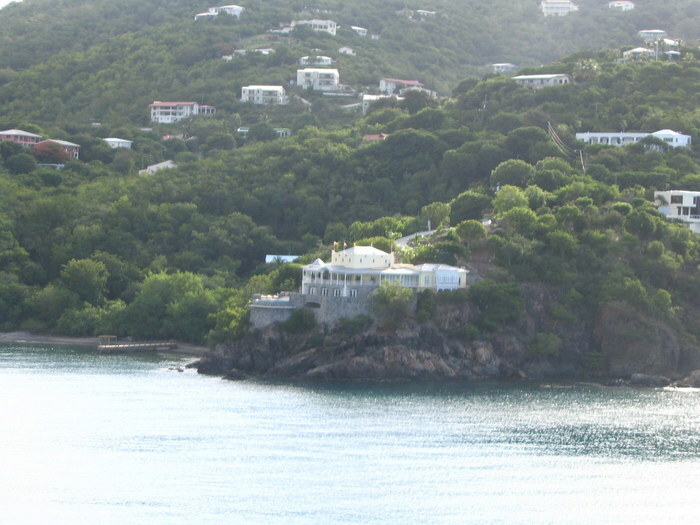 Fly over Magens Bay, Charlotte Amalie and other areas of the island. The pilot will point out popular sights. Tours range from 20 minutes to one hour and range in price from $99 to $120 per person. St. Thomas Diving Club’s Snorkel Trip…travel to a protected cove at Buck Island where the water is always calm. You are able to snorkel over a shipwreck and coral reef areas along the shorelines inside the cove. Marine life is plentiful. Departs from Bolongo Bay at 1 p.m. and returns at 5 p.m.
Super Snorkeling…for those who like snorkeling but are not divers this is the middle ground option. Prices range from $57 to $99 a person depending upon which of the three different types you choose. VI Snuba Excursions...Snuba enables people with the use of a mask and breathing tube attached to a tank of air floating on the surface to explore shallow coral reefs and view marine life while swimming under the water. They use Coki Beach and can go down to a maximum depth of 20 feet. Experienced professional supervise. 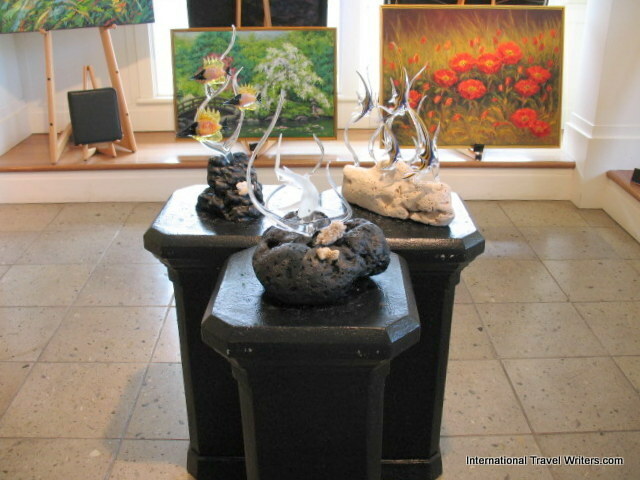 There are other activities such as bike rentals, horseback riding, para-sailing, whale watching, etc. 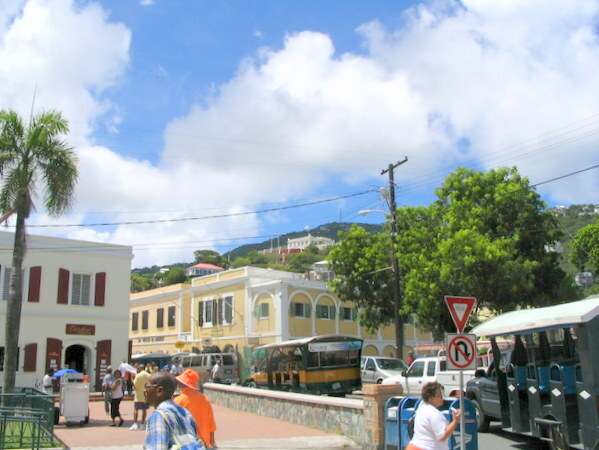 Or you can take the Skyride 700 feet above the city or climb the famous "99 steps of Charlotte Amalie" for a panoramic view of the Caribbean. Or, you can head for the Wheatley Shopping Center (seen below) which has an amazing variety of shops. 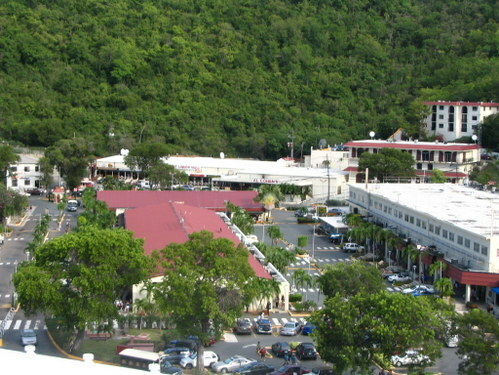 The Wheatley Shopping Center in Saint Thomas appealed to us because Saint Thomas is a duty free port!! Booze, cigarettes, jewelry, etc. Of course they had numerous brands of rum made in the Caribbean and the selection of liqueurs was huge. There were a lot of shops with handicrafts that were imaginative. It was a pleasant way to spend a few hours on a lazy afternoon. The next trip to Saint Thomas we would like to do the Night Kayaking at sunset, but on this trip, our ship was leaving too soon for us to get safely back on board so we watched Saint Thomas disappear into the darkness as we headed to our next port of call...Grand Turk.